A farmers porch, otherwise known as an open porch, is a covered deck that is often supported by sturdy beams and tailored railings. This type of porch faces toward the street and provides a welcoming introduction to the home. A farmers porch adds dimension and character to an existing home. A typical farmers porch encompasses the front of the home. It may be elevated with a wide, open staircase leading to the deck, or it can rest on the ground. Those that are elevated often boast ornate posts and sturdy railings. They often incorporate white lattice beneath the structure to provide a more polished look. This style maintains similar features including the covered deck and sturdy posts. However, they may include a single step as opposed to a full set of stairs. Like the majority of farmers porches, this style often incorporates porch swings, rockers and comfortable outdoor furniture. 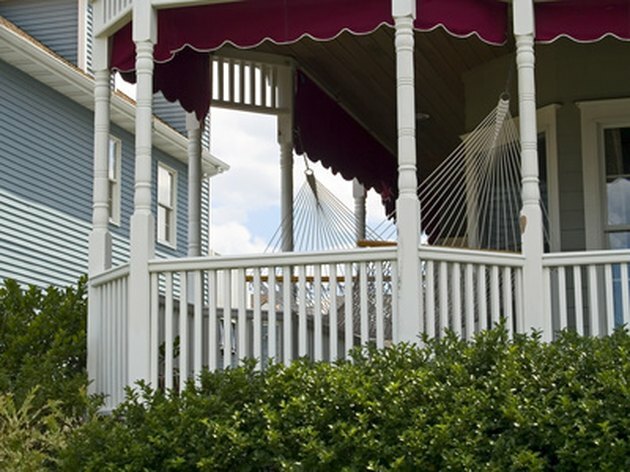 Wraparound porches allow more room and add size to a home. Wraparound farmers porches are exactly that: They wrap around the front of the structure. Rather than encompassing only the front-facing outer edge of the home, these porches wrap round either one or two corners of the house. They can incorporate any of the features of elevated or ground-level farmers porches. 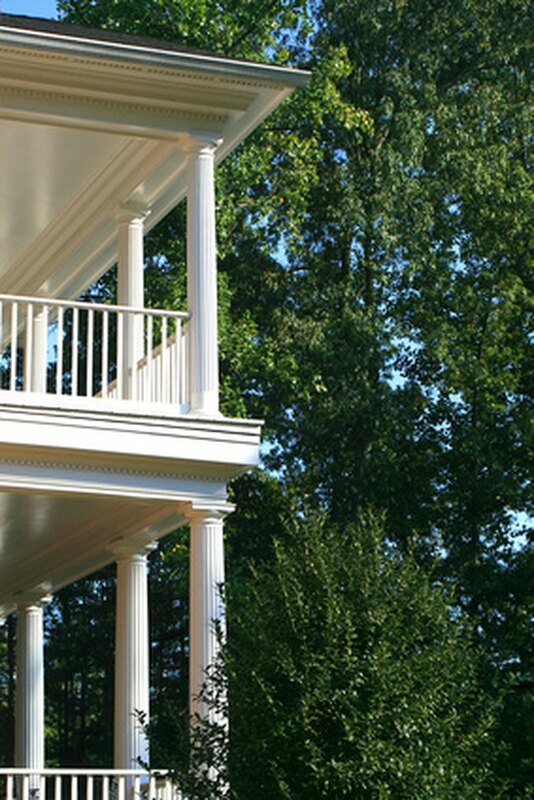 Stacked porches are a trademark of the south. 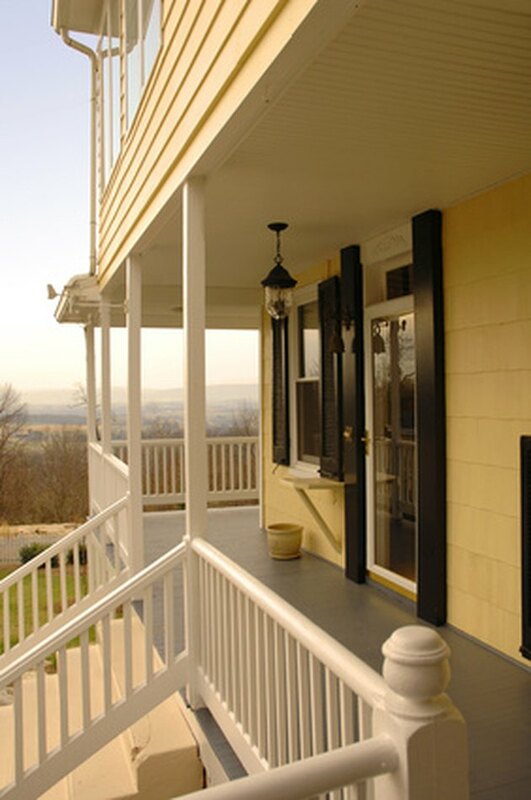 These types of porches incorporate the country feel of the farmers porch; however, they are often stacked and elaborate. They often are supported by colonades (or large columns) as opposed to thinner, less intricate supports seen up north. Samantha Arroyo graduated from the University of New Hampshire with a Bachelors degree in English journalism. She began her career as a journalist and later moved into marketing and advertising. As an experienced copywriter, has produced compelling, benefit-driven copy for ministries, utilities, financial institutions and retail stores. Her work has also been featured in "Carved In Granite II," Applaud Women Magazine, and online at 'Tween Girls and God and FaithWriters. What Is the Difference Between a Patio and a Porch?